Recently we received great news from our Project partners in Russia – the Government of Republic of Kalmykia has closed the spring hunting in 2019! 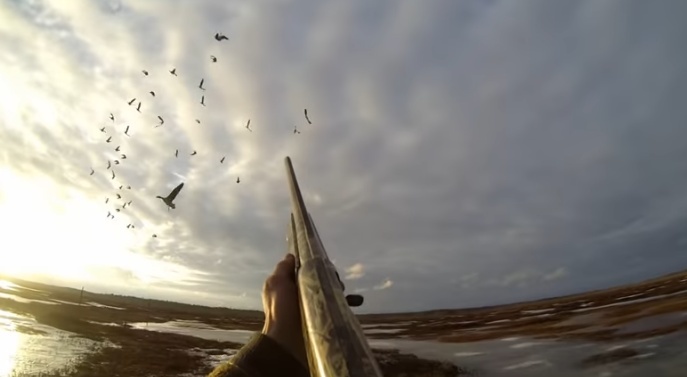 In October last year the LIFE for Safe Flight partners in Russia initiated a high level meeting in Kalmykia to discuss issues with spring hunting and options to reduce its impact on migratory waterbirds. The experts and state officials agreed on the need to explore the possibility of closure of the spring hunting and then the local government made the necessary steps towards this decision. The governmental ordinance for closure of the spring hunting has been announced earlier this month. Harvesting prior to the breeding season is widely considered ‘unwise’ since it has impact on the breeding population leading to deduction from the pool of breeding individuals. Factors increasing the cost of spring hunting are monogamy, high breeding output, high summer survival and weak density dependence in summer, such that the population is mainly regulated through winter conditions. Recent data assessments indicated the high potential mortality due to poaching and illegal killing of Red-breasted Geese during spring and autumn migration through Kazkahstan and Russia. It is estimated that as high as up to 40% of the global population might become victim of poaching incidents during these periods. Therefore one of the main objectives of the current “LIFE for Safe Flight” project are directed towards mitigating these threats and limiting or/and adapting the spring hunting in the key range countries such as Russian Federation. 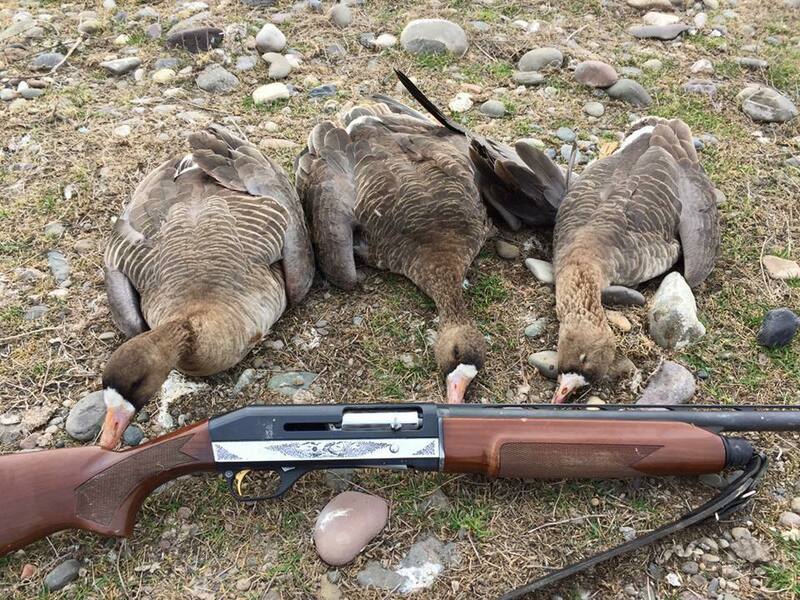 The closure of the spring hunting on geese in Kalmykia and taking into account the ban on spring hunting on waterfowl in Kazakhstan since 2017 will grant a safe passage for the Red-breasted Goose population and many other threaten waterbirds including the Lesser White-fronted Goose! Kalmykia and Northern Kazkahstan are key bottleneck areas during migration of both species and this will ensure better survival for the birds heading towards their breeding grounds. 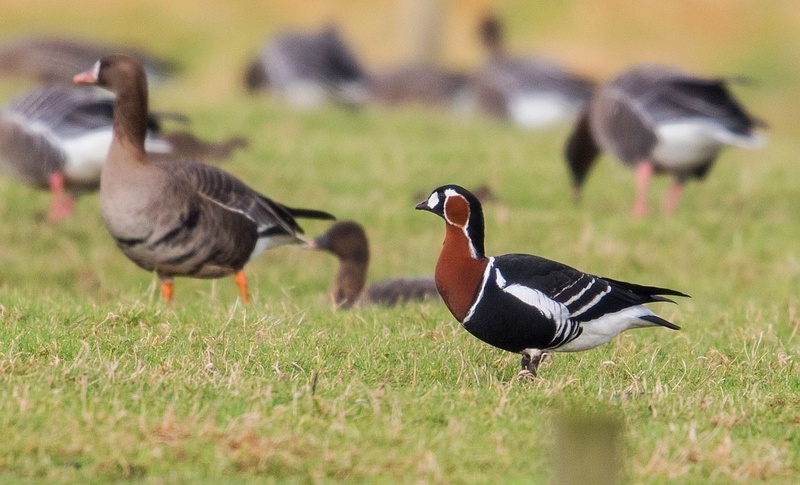 Given that it is expected this summer to be good for lemmings (thus ensuring better breeding season for waterbirds in the Arctic) we could expect a positive boost of the population of the arctic breeders including the Red-breasted Goose. Congratulations for the efforts of our Russian colleagues for ensuring and making possible the wise decision on the closure of spring hunting in Kalmykia!